Well, this is horrifying. A new food product going by the name of "Candwich" is hitting store shelves, and it's just what that fake word makes you think it is: sandwiches in cans. Oh, no. 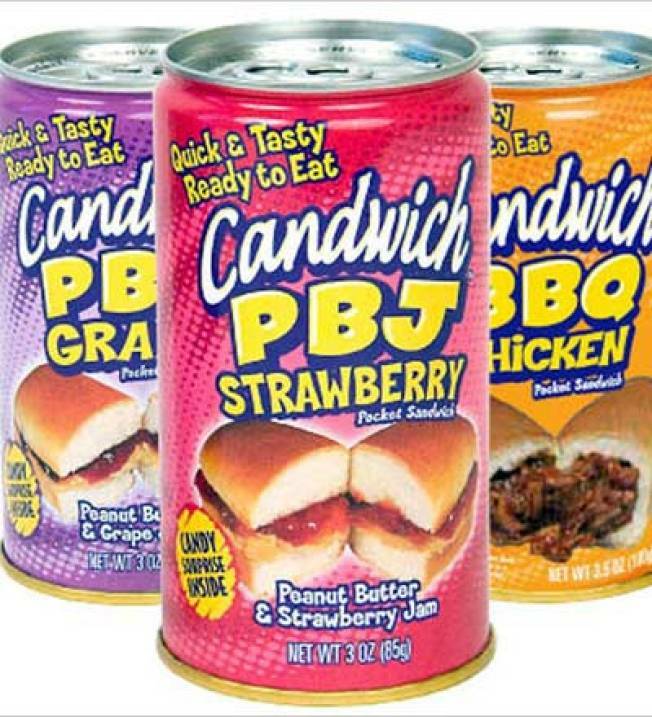 Your choices involve strawberry jelly and peanut butter, grape jelly and peanut butter and, most disgustingly, BBQ chicken. Yes, a BBQ chicken sandwich in a can. No thank you! There's no word on how much they cost, but I think it's safe to say that for most people with discriminating tastes, there's no amount low enough for this swill to become a viable food option.